It is the awakening of a new age for humankind – twenty years after the Human-Gith War. Arkadia is a idea given substance. Its goal is to prevent another war by creating a place where humans and other races can work out their differences peacefully. It's a port, a home away from home, for adventurers, traders, diplomats, hustlers, entrepreneurs, and wanderers. Floating in the ocean… all alone means that it can be a dangerous place, but it's the last real hope for peace between the races. Arkadia is a gigantic floating city located in approximately the center of a vast network of islands. Travel between the main island chains islands is dangerous and must take place across "dark water" which is shrouded in thick dark mists making it extremely difficult to see and navigate. Magical "Bridge" gates close to certain islands have been created which make navigation between the islands easier, though still dangerous. Essentially these "Bridges" create a tunnel between themselves which allow for travel. Those leaving these tunnels though are often lost to the dark water. Some ships have their own "Bridge" capability, though it is rare and extremely expensive. Travel to islands that are in close proximity to one another is still possible via normal travel without the use of a "Bridge". Arkadia can be divided into a number of different districts around the central region known as "The Hub". The Hub: Includes various offices designated to the city watch and city leaders. In the center is the Eyrie, a large tower at the very center of the city from where the rulers run the city. The Greenery: While there are a lot of little parks and gardens across the city, The Greenery is a large agricultural section which grows plants for food for the cities inhabitants. Most is grown hydroponically. Down Below: There are levels and levels underneath the city streets which house sewers, water tanks, sewerage reclamation plants (Otyugh's are used to break it all down). Those who are down on their fortune often wind up here trying to scratch together a living. The Docks: There are docks all around the city, some are commercial, some private and others military. This also includes military sections that are manned to protect the city from attack if required. Diplomatic Quarter: Though it is called the "Quarter", the Diplomatic quarter is only a very small section that houses diplomatic envoys from non-human races living quarters and offices. It can only be accessed (legally) by the city guard, diplomatic staff, those with appointments and maintenance workers. The Shadow Streets: A section of the city that was never completely finished due to a lack of funds. Strange occurrences are said to happen in these streets and they are restricted to city guard only. Other: The remaining areas of the city comprise housing, industrial and commercial, taverns, shopkeepers, temples etc Some are of a higher quality than others and as such cost more to buy/rent. This map shows the territorial waters of the various races in the broadest possible sense. A lot of the area is actually "dark water" and travel from two islands that are geographically near to each other may , in reality, require days or even weeks of travelling via other islands to avoid getting lost within the dark water mists. The Alliance (Human) - Green: Officially "The Alliance of Human Isles", the humans have gradually expanded into the region around their home island since the end of the Human-Gith War, which other races had generally left alone. The Gith Federation (Gith) - Pale Blue: One of the oldest known races and generally considered one of the most powerful, next to the Forged. 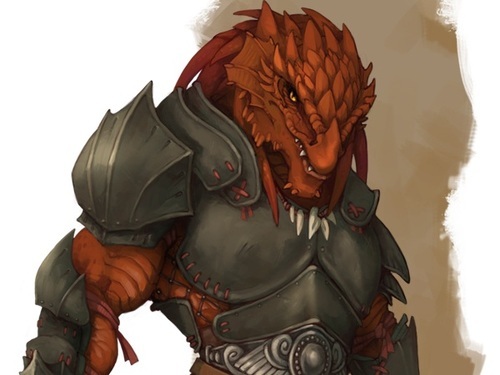 Regime of the Dragon (Dragonborn) - Red: The Dragonborn have been steadily increasing the size of their regime since their freedom from the Elves, a lot of it at the Elves expense. The Feylish Republic (Elves) - Purple: the Feylish Republic (which is in fact a monarchy) was at one time much larger, but elven society has been in decline. 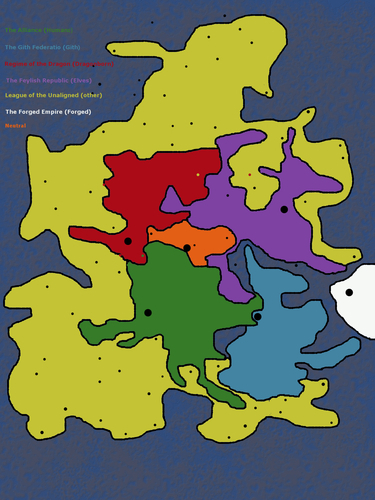 League of the Unaligned (other races) - Yellow: contains the home islands of numerous different races such as the orcs, hobgoblins, kobolds, thri-kreen and giants, to name just a few. The Forged Empire (Forged) - White: No ships other then Forged Ships have ever entered this region and returned to tell of what they have seen. The Forged are without a doubt the most powerful of the races. Neutral Waters (Arkadia) - Orange: This is a region around the city of Arkadia which most races have agreed to leave as neutral territory, though Arkadia is itself a joint venture by the five major races, the Humans have been left to administer the city as they provided the most significant proportion of material, manpower and funding to create it. Dark Water & The Edge - Dark Blue: Dark water is virtually non-navigable, the dark mists make it impossible to see beyond a few hundred feet. The mists also play havoc with normal magics that might aid in navigating. There are bridges which allow for long distance travel between some islands, however around all the islands there is a region where no bridges have been able to penetrate, this region is known as "The Edge". Home Islands of major races - Large black dots: includes the home islands of the Humans, Gith, Dragonborn, Elves and Forged, as well as the location of Arkadia in the Neutral waters. Home Islands of minor races - Small black dots: includes the home islands of some of the minor races as well as some now uninhabited islands from races that have either moved on over "The Edge" or become extinct. 1260 - Gith and Forged fight a war with a great evil, forcing it to retreat. 2055 - Stories begin of Angels inhabiting the isolated southern reaches of Reath, shortly after this the first Sorcerers appear among the humans. 2057 - First human ship to land on shores of next closest island of Aris. 2080 - War erupts across the human island of Reath. 2101 - Human ships are again sent to Aris this time establishing settlements across that island though is still takes months of ocean travel to get there. 2109 - Elves first encounter and subsequently enslave the Dragonborn. 2156 - First encounter between humans and elves. 2157 - Travel time to Aris from Reath is reduced from months to days using Bridge magic. 2164 - Human city of Proxima is established on island the humans name Proxima. 2178 - human city of Orcion is established on edge of Elven waters and becomes an important trading port. 2180 - Academy members learn of and investigate a Cult of Angels in a remote southern region of Reath and find it to be comprised completely of other Sorcerer’s guarding magical artifacts. 2206 - To discourage rebellion by the Dragonborn, the Elves blast several of their cities for a week with fireballs, it fails. 2209 - Elves are driven from the island of Ragan by the Dragonborn. 2230 - At the behest of the League of the Unaligned, The Alliance comes to their aid as the Dao go on genocidal spree wiping several races from various islands. Referred to as the Dao War. 2232 - The Dao are defeated and nearly wiped out as members of the League of Unaligned extract revenge. 2245 - Human-Gith War begins. 2248 - Human-Gith War ends. 2248 - The leaders of Aris declare the isle to be independent of the Alliance, in return the Alliance sets up a blockade of the island. 2250 - After a drought on Aris, food becomes scarce and with the blockade still in effect, people start to riot against the leaders as they start to starve. The leaders call on the Alliance for aid in return for re-joining The Alliance. The Riots are put down and the leaders imprisoned, but still alive as Aris returns to The Alliance. 2254 - The sixth attempt at the building of Arkadia, disappears shortly after it is completed. There is no evidence in place that it even existed or as to what happened to it. 2258 - Floating City of Arkadia is completed and inhabited. Ragan is the home island of the Dragonborn and the Regime of the Dragon. Prior to an Elven invasion around 150 years ago, Ragan was a healthy green island now it little more than a slightly inhabitable desert with fluctuating temperatures and wild winds. Before the Elven invasion the island was dominated by primordial jungles and forests, teeming with animal life. Craggy mountains and small, lakes covered the rest of the island. However, following the Elven occupation much of the land is a desolate rose-copper desert, as the Elves occupation decimated the environment; very few areas of original forest and jungle remain. Although the Dragonborn have reclaimed much of their island for agriculture, they have also managed to restore some small areas of forest and jungle. For hundreds of years Dragonborn were mostly peaceful farmers and were not united under a single government, but were divided into different clans. The Island of Ragan was pleasant and green, and there were sorcerer's among the population. Around a thousand years ago however a great evil invaded the southern reaches of their island but was driven from the island by the only sorcerer's, who were themselves killed in the process. Since then there have been no more Dragonborn sorcerer's. Realizing that their home was doomed unless the Elves were forced to leave, the Dragonborn began a lengthy guerrilla war against their Elven masters. The Dragonborn learned how to use Elven magic and weapons, and turned these against the elves. They conducted hit-and-run attacks on Elven bases, assassinated Elven nobles and civilians, and destroyed Elven ships and equipment. The Elves responded to these attacks in a ruthless manner; ten thousand Dragonborn were executed as punishment for the Elven losses, and cities were decimated with siege weapons to demoralize the population. But the Dragonborn persevered, and eventually the Elves wearied of the conflict and left, around the year 2209. Thus the Dragonborn regained their independence. The leaders of the rebellion formed a new, united Dragonborn government. The Regime of the Dragon is the government of the Dragonborn. The regime is led by the "Ja'Wyrm"; it is basically a large council with different levels (called "claws") of authority. The first claw consists of the national elite who form planetary policy and handle relations with other alien races. The Ja'Wyrm's membership consists mostly of the veterans and leaders of the Dragonborn's successful guerrilla war against the Elves, which may account for the Ja'Wyrm's near-obsession with constantly humiliating and defeating the Elves. The Regime of the Dragon is a young empire, having grown rapidly since their independence from the Elven Republic. Clever diplomacy, a pragmatic approach to arms dealing, and investment in building up their own military have been main characteristics of the Regime since the Elven occupation. For instance, the Dragonborn were the only major power willing to sell effective weapons to the Human Alliance during the Human-Gith War, albeit secretly considering the threat of the Gith turning on them for aiding their enemy. The fact that their weaponry was derived from Elven designs also raised Dragonborn hopes that the older race might suspect their former occupiers and attack them instead of Ragan. The devastation inflicted upon the Dragonborn island left them little choice but to either accept a long, difficult attempt to restore the ruined climate and landscape of their home - or to establish and defend colonies that could send back resources to sustain the dying Dragonborn home-island. The Dragonborn chose this latter option, resolving to expand their economy and influence as quickly as possible, and by any means necessary. They sold any magic and/or weapons of value to anyone who could afford to pay for it, including groups branded as criminals and pirates by other races. 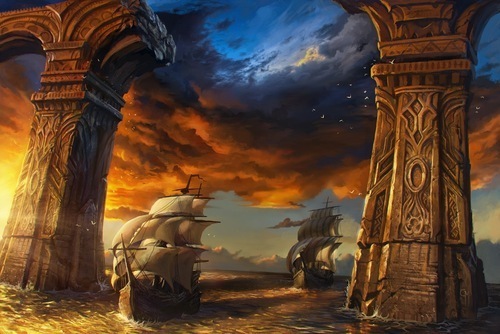 Using magic and shipyards inherited from the Elves, they swiftly built a fleet of their own and secured several nearby islands in the first few years of their independence. The speed with which the Dragonborn regime grew was all the more impressive given their lack of magical advancement prior to the arrival of the Elves. In order to achieve this quick expansion, the Dragonborn adopted policies that tended to emphasize ruthlessness and a pragmatic approach to diplomatic agreements. When they felt themselves strong enough, the Dragonborn began to bully and plunder other races just as the Elves had done to them. They were often aggressive and brutal, not hesitating to use threats or outright force to seize disputed regions or settle conflicts in their favor. Thus, it is not surprising that many races, even those who continued trading with the Dragonborn despite their dissatisfaction with Dragonborn policies and actions, had ambivalent or negative opinions of the Regime and the Dragonborn in general. They won few friends among the other races, even among those races that traded with them, who too often found themselves on the wrong side of perceived Dragonborn double-dealing—a failing seen by the Dragonborn as a small price to pay. Most Dragonborn subscribe to very strict personal codes of honor, though many other races in the past have tended to see them as greedy, duplicitous, double-dealing and treacherous. Part of this view may stem from the influence of the Elves and their hostility toward the Dragonborn, but much of it stems from Dragonborn behavior during the construction of their empire since the end of the Elven occupation. Dragonborn society is strictly hierarchical and based on a class system. Physical imperfections and impairments are customarily not recognized, which means any equipment to compensate for them, such as corrective lenses for visual impairment, have to come from other races. Dragonborn society consists of 7 claws (levels), with the royal families being First, spiritual leaders Second, government officials Third, and trainees Eighth. The Ja'Wyrm is based in the city of Sh'Kalazad on Ragan. The rest of the people are divided into Skilled Workers, Plebeians, or the Lost (unemployed, criminals, and the mentally ill). Upward movement between classes is difficult for the majority. Dragonborn cities are built in roughly concentric districts which reflect the social hierarchy. The Dragonborn are a deeply religious and socially conservative people. Dragonborn have several gods though some Dragonborn are not religious at all, but those that do subscribe to a faith take it very seriously. The holy Book of Sh'Kalan is so revered that new copies must be hand written and identical in form to existing copies, including any imperfections in the pages, and rituals must be followed correctly or not done at all. It is also considered sacrilegious to translate the Book into another language or to be careless in handling it. The Dragonborn , like most races, also have winged beings of light in their myths (these beings are similar to the angels of various human religions). A Jon'Kor is a Dragonborn blood oath. The oath is sworn by a Dragonborn against someone who wronged them or their family. An individual Dragonborn is expected to not rest until the target of the Jon'Kor is dead. If the individual Dragonborn fails, the family continues the Jon'Kor until the target is killed. Dragonborn never draw weapons unless they mean to use them. If a weapon is drawn, then blood must be spilled before it may be sheathed (even if that blood is one's own). Sh'Kalan: A prophet that has had so much influence on Dragonborn society that his teachings are the most widespread and have elevated him to divinity. Va'Roosh: Protector of families and the home. Ch'Gon: Caretaker of spirits and overseer of the afterlife. There are no Dragonborn sorcerers after the last of them and their families were destroyed battling a great evil around 1000 years ago. Male Names: All male names begin with either Sh' or Ch' . Community Names (i.e. city, town etc): Begin in any of the four ways that male or female names begin. The home island of the elves is called Alagos. It is a lush fertile island with many woodlands, lakes and streams. The cities and town on the island have been built in such a manner that they blend seamlessly with the natural world even though they themselves are architecturally advanced. The elves have been able to maintain this by acquiring any metals, woods and other materials they need from other islands that they themselves do not inhabit to the point where those islands are left virtually uninhabitable. As was the case with their occupation of the dragonborn island of Ragan. This seeming contradiction with how they live with the world is somewhat mirrored in their own persona's as they can go from being jovial, frivolous and care-free to brutal, heartless and arrogant. The elves discovered the means to travel through the "dark water" via Bridge magics very early in comparison to other races (though still behind the Gith & Forged) which allowed them to spread to other islands while the other races were restricted to their home islands. This means that many of their colony islands have populations that are comparable to that of Alagos. Many of the dead islands surrounding (and within) their territorial waters were once fertile or mineral rich but have been left barren and stripped of any valuable commodities by the elves. Elves were the first race to contact the humans but rather than invade them as they had done to others traded the knowledge of the bridge magic in exchange for the "Art" of the humans which they are enamored with. The fact that at the time of contact the humans outnumbered and were militarily on par with the elves having nothing to do with this according to the elves. At the height of their expansion the elves ruled over hundreds of islands, but a lack of numbers due to their slow birth rate compared to other races as well as their growing content and lazy, has seen their territory shrink over the last few centuries, so that now they control only a few other islands as well as Alagos. While officially called "The Elven Republic", the elves in reality are a monarchy and are ruled over by either a king or queen. The king/queen has enourmous power in Elven Society and all elves are taught to be deferential to the ruling monarch. The Elves are not a democracy; the average citizen has little or no political power within the Republic. The Elven Republic considers slavery legal, but as a form of social stratification, not racial discrimination – many slaves are disenfranchised nobles. The only real check on the monarch's power resides in the Royal Court, an assembly of the leaders of the major noble houses. Nobles able to manipulate the Royal Court successfully are able to wield great power. The Royal Court can vote to overturn a decree of the monarch, although this is an extremely rare practice and can only be done with a unanimous vote. The Elves appear culturally obsessed with rank, social position, wealth, and power. They are quite Machiavellian in their political games and treachery. Everything seems to involve strategic moves and countermoves, strategy games "for keeps" with covert or overt ruthlessness. Elves believe in a Pantheon of Gods, each of which is believed to hold dominion over a given afterworld. Elven belief is that by sufficiently appeasing one's patron god during their lifetime, that god will accept them into that afterlife in preparation for the time when all the "heavens" unite into one. Those that do not appease their gods sufficiently are thought to be reborn and must choose a new god, repeating the process until one accepts them. The pantheon itself is made up of a mixture of old household gods, deified Emperors and the Great Maker as the chief creator deity. As more Emperors are gradually elevated to godhood, the exact number of Elven gods is given to change, and is currently around fifty - though even that is dependent on whether or not one believes Zalg should be included. The Supreme Maker: Creator of all things. Originally the deity of a now deceased race, it has nonetheless been adopted by the Elves. Vilaru: Goddess of luck and patron of gamblers. Chu: Goddess of passion. A synthesis of male and female Elves. Mornyll: God of the underworld and protector of front doors. Tullyano: The first Emperor of the Republic. According to the old books, the first Emperors were proclaimed deities by the ancient gods. Virxen: God of food. Virxen was the 17th Emperor of the Republic and was elevated to godhood for declaring that joy and excessive consumption was the duty and responsibility of every Elf. When Virxen died, he weighed more than any three normal elves. Such was his mass that he accidentally crushed his first wife during the act of procreation and was therefore rendered involuntarily celibate by his other wives. Drayoon: Another former Emperor. His temple on Indlar is widely recognized as the most beautiful building ever constructed by a sentient race, and draws thousands of pilgrims and tourists each year. Zalg: A controversial choice of god, originally just a household god associated with one noble family that made a habit of imposing their god on others where possible. Zalg was eventually included into the official pantheon when that family used its power to force the Royal Court to recognize the temple they'd built for their God, an act of pure vanity on their part. Some Elves don't count him at all, believing he should never have been recognized. Elves are generally called by their House name, generally only close friends and family call an elf by their first name. The Elves of Arkadia sleep rather than enter a trance like state as in some settings and it is quite common for them to get a premonition of their own death in glimpses during their dreams (this will only occur once during their lifetime). This inherent precognition is also present in a more controlled state but only in a few rare individuals. These individuals, known as "Seers" are able to catch glimpses of the future for an individual, this may be an unalterable future, or a future than may come to pass, or a future that can be avoided based on the actions of the individual, and the "vision" is often cryptic and hard to interpret. To provide this reading the "seer" must be in direct contact with the individual they are seeing for. It requires no other equipment, though Seers usually charge hefty prices due to the emotional and physical stress that seeing imposes upon them. The Forged are a NPC race. 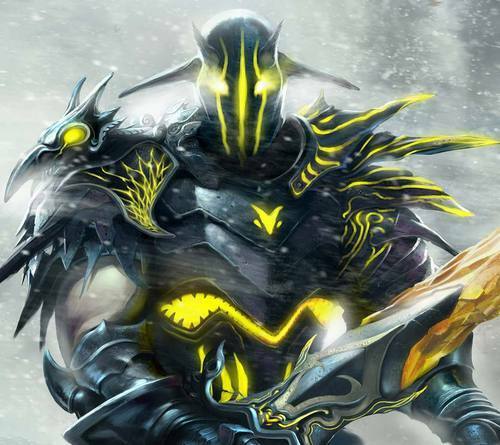 Forged appear as larger than normal suits of completely enclosed armour. No one has knowingly seen a Forged outside of their armour. Despite the size of the armour and its metallic appearance the forged move with surprising grace (not necessarily speed) and lack of noise. The armour of different Forged appears differently, though no matter the general outward appearance the eyes/eye slots will always glow with in inner magical power. The Forged come from an island within their territories that they refer to as "The Forge". As far as anyone knows no member of any race other than the Forged has ever even seen the shoreline of their home, as there has never been anyone return from entering their waters to report on what they have seen. It is unknown if this is because those waters are just inherently dangerous of because the Forged take immediate action to ensure that these incursions are dealt with. 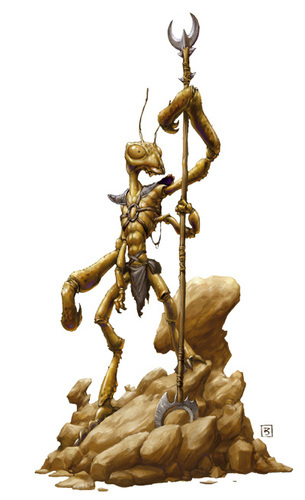 It's believed that the Forged are one of the oldest races. It is known that they were the first race that the Gith encountered when they first discovered bridge magic, and that the Gith defer to them as an older race. As other races defer to the Gith as one of the oldest races they in turn take it for granted that the Forged are even older still. No one is quite sure how that the Forged rule their society. It is unclear if the Forged worship any beings, though a few have cryptically made references to "The Smith" at different times. But as no one has ever been to their home there is no first hand evidence of religion or how they interact with other Forged. Forged ships are covered in a strange system of stripes, similar to those on a tiger or zebra. Those who have been lucky enough to observe a Forged ship over a long period swear that the stripes slowly shift and change. None, the Forged are a NPC race. The home island of the Gith is called Shidra. It is much colder than most other islands and is often covered in snowfalls, with ice sheets and icebergs floating around it. Large crystals dot the landscape and the Gith have become proficient at carving them. Some of the crystals are so large that whole cities have been carved into them, and many buildings are carved out of crystal. The capital of Felani is one such city. Even a thousand years ago, when the great evil inhabited a part of the Dragonborn homeland, the Gith were an old race, still much younger than then Forged, but old none the less. As this great evil spread across the islands the Gith, with the help of one of their religious heroes "Nallev", joined with the Forged to help drive the evil back into the dark from where it came. After this the Gith kept mostly to themselves, staying in their own territories and keeping others at bay, so much so that the elves warned the humans after those to species first met to stay well clear of the waters of the Gith. Still a few Gith ships visit other ports for trade and to exchange information. Around 15 years ago the humans decide to send an ambassadorial ship into Gith waters where it is met by a Gith ship carrying one of their leaders. In the Gith tradition fire bolts are shot into the air to show that while they could have attacked and hit the approaching ship they avoided doing so. The humans misinterpret this as a failed attack and return fire killing the Gith leader, in their rage the Gith destroy the human ship and tempers on both sides flare - the Human-Gith War begins (2245). Fighting escalated with the superiority of the Gith ships and magic easily decimating the human forces, they were on the verge of destroying the human home island, when they suddenly stopped and surrender to the humans. They instead agreed to start the creation of the first Arkadia floating city with the humans and Elves. As confusing as this about face is, the humans and the elves agreed (especially when the Forged agree to send an Ambassador to the city when it was completed). The first five attempts to create the city are fraught with trouble and destroyed through combinations of accidents, monstrous attacks and storms. The sixth attempt disappears completely with no explanation and it isn't until the seventh attempt that the city is completed and inhabitable. A lot of history of the Gith is kept in records of their religious caste, but it generally restricted to observation in their archives. The Gith Federation is the government of the Gith Islands and colonies; it is based on Shidra, the ancestral home island. The Federation is an oligarchy ruled by the Hand of Nine. The Hand of Nine is made up of nine individuals, three each from the Gith's three social classes, Warrior, Religious, and Worker. The Gith are a very religious people, but their religion does not have a central god figure, nor does it have a pantheon of gods. The Gith believe instead that the world is sentient, and that it has the ability to break itself into many pieces and invests itself in every form of life. Consequently, every being is a projection of a part of the worlds soul. They believe that the world uses the perspective of individual sentient beings in a process of self-examination and a search for meaning. Nallev is a central figure in Gith religion.However, he is not considered a deity and is often reffered to as a "Gith who is not a Gith". Around a thousand years ago, a floating fortress suddenly appeared in Gith waters on which resided Nallev flanked by Forged, who then led the Gith against the great evil that was spreading at the time. Gith believe in reincarnation. They feel that after an individual has died, the soul of the individual joins with other departed Gith souls which then all merge together becoming one. Then the souls are reborn into the next generation of Gith. Thus Gith hate undead and those who would use magic or other means to prevent souls from joining with other Gith souls. Gith respect the role of "true seekers," who are those who follow the calling of their hearts in a quest. Even when such a seeker's task appears to be folly, other Gith – especially religious caste – will provide what assistance they can. 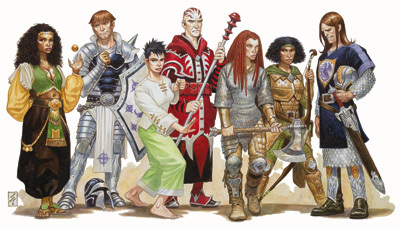 Gith society is structured around three quasi-ethnic castes are the Githmahtye (Worker - primarily Rogue, Wizard, Bards, Warlocks), the Githyanki (Warrior - primarily Fighter, Ranger, Barbarian), and the Githzerai (Religious - primarily Cleric, Druid, Monk, Paladin). Membership in a caste is primarily a hereditary matter - children of parents from one caste will usually follow their parents. If the parents are of different castes, the mother's caste takes precedence - any children would belong to the mother's caste. Sometimes Gith who have a deep feeling for one caste - which they refer to as a "Calling of the Heart" - will join a different caste. The castes are not as limited as their titles would suggest, and to some degree try to be self-sufficient. For instance, all three castes have guards. However, the only caste permitted to maintain a full military force among the three has always been the Warrior Caste. The Worker caste is the most numerous. Sorcerers, as with most races, are rare and can belong to any of the castes, though most choose to live with the religious caste. The Gith view sorcery as a gift from the world and they are highly honoured in Gith society. Each Gith caste has leaders which are referred to as elders. These elders oversee the governance of the internal matters of the caste. Gith place great value in the number 3. The Gith sense of taste is not as developed as that of humans but they have a more acute sense of hearing. Because of this weak sense of taste, they prefer hot, spicy foods. Gith do not drink beverages containing alcohol because it affects their systems in such a way that causes psychosis and homicidal rages, even in small amounts. They also prefer cooler climates which remind them more of their homeland. Allergy: The Gith of Arkadia are allergic to alcohol however it effects them differently than the standard allergic reaction and instead sends them into a Blood Rage. Gith Blood Rage: When a Gith imbibes alcohol they must make a Constitution DC15 save or act as if they are using the Reckless attack feature of the barbarian class against the closest creature that they are aware of (friend or foe). You may attempt a save at the end of every minute. For every minute a Gith is still under the effects of the Blood Rage they suffer a level of Exhaustion. If a Gith gains 6 levels of Exhaustion from the effects of alcohol they then gain the Unconscious condition for 24 hours, rather than the Death effect that is normal. After 24 hours the level of exhaustion is reduced by 2 to level 4. Exhaustion must then be reduced as per normal. THe home island of the Humans is called Reath, and is one of the largest islands inhabited by any race, large enough that is has several different climate zones. It is large size that was in part responsible for humans being one of the last races to spread beyond their home island and inhabit other close by isles. However once they spread their high population and adaptability has led to them quickly spreading their territorial waters. Humans were a minor race on the world, restricted to their own waters around Reath and it wasn’t until the year 2018 that the port of Tranquillity is established on the nearest island known simply as The Shore. It isn’t until another 40 years later that a human ship is sent the next closest isle of Aris to see if it is habitable, however bad weather and bad luck result in the loss of the entire crew. Around this same time stories of angels inhabiting regions of Reath’s harsh southern shoreline begin to circulate and human sorcerer’s begin to appear among the population and the Cult of Angels appears. Hostilities arise between several human City states and as various regions and cities of Reath takes sides, war erupts across the island, lasting for several years. At the end of this war the regions and cities come together and officially form The Alliance of the Island, which would go on to become the Alliance of Human Isles. Once the Alliance is settled, more ships are sent to Aris and this time they manage to establish a few settlements and thus begins the humans start to the expansion of their territories, though they are still unable to navigate the dark waters. 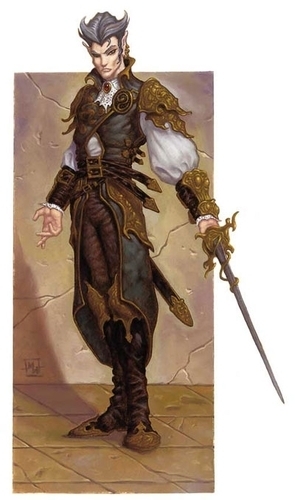 After the Sorcerer known only as Crawford commits mass killings and destruction in several cities, The Alliance decides to establish an academy to keep a track, monitor, train and regulate sorcerers for their own protection after dozens of completely innocent sorcerers are killed by angry mobs. Out of fear for their lives dozens of Sorcerers join the Academy. However, some fear the control over their lives and resist their forced induction into the Academy resulting in conflicts as Sorcerer’s are set to hunt other Sorcerer’s. Elven ships appear in human waters in 2156 and a number of trade agreements are reached including the purchase of “Bridge” magics so that humans can explore beyond the waters around Reath, establishing many new outposts on islands they discover through the use of Bridge magic. After being warned against sending ships into Gith territory by the Elves, The Alliance decides to proceed anyway and after a Gith leader is killed after a misunderstanding, the Human-Gith war starts, ending after a few years with the Gith surrendering just as they appear to be on the verge of invading Reath. After some intense discussions between the GIth, Humans, Forged, Dragonborn and Elves, the Arkadia idea is born and construction starts. It takes seven attempts to complete the floating city, but in 2268 it is completed, with The Alliance being the overseers with the other races sending Ambassadors to maintain dialog and gain a better understanding of others races.